Sub-regions within a face image are identified to be enhanced by applying a localized smoothing kernel to luminance data corresponding to the sub-regions of the face image. An enhanced face image is generated including an enhanced version of the face that includes certain original pixels in combination with pixels corresponding to the one or more enhanced sub-regions of the face. 本申请是国际申请号为PCT/EP2009/005461、国际申请日为2009年7月28日、优先权日2008年7月30日、进入中国国家阶段日期为2010年11月16日、中国国家申请号为200980117715.2的发明专利申请的分案申请。  This application is an International Application No. PCT / EP2009 / 005461, international filing date of July 28, 2009, the priority date of July 30, 2008, to enter the national phase in China dated November 16, 2010, China national divisional application of application number 200980117715.2 of invention patent applications. 本申请涉及图像处理，具体地涉及在脸部图像中检测的子区域的图像处理。  The present application relates to image processing, particularly, to an image processing sub region detected in the face image. Proctor和Gamble的美国专利6，571，003提到，在脸部的子区域(例如，脸颊)或由地标点储如，拐角或鼻部、眼部或口部)限定的区域中找出并修补脸部缺陷储如，斑点、皱纹、毛孔和纹理）。  Proctor and Gamble U.S. Patent No. 6,571,003 mentioned, the sub-region in the area of ​​the face (e.g., cheek) or to a reservoir, such as punctuation, a corner or nose, eye, or mouth) as defined in identify and address the storage facial defects such as spots, wrinkles, pores and texture). 该技术涉及利用蒙板(mask)来替换所限定的区域。 This technique involves replacing the defined region using a mask (mask) a. P&amp;G专利公开了电子式地改变颜色。 P & amp; G patent discloses an electronic change color. P&amp;G专利还提到检测和修正照明梯度和照明变化。  P & amp; G patent also mentions gradient detection and correction lighting and lighting variations. 在存在可能引起脸部皮肤上的光泽或较亮区域的方向性照明的情况下，可能出现这些照明梯度或变化。 In the presence of directional lighting may cause skin or facial gloss brighter areas of these illumination changes or gradients may occur. 转让给本申请受让人的美国专利申请序列号12/038,147、61/106，910和61/221，425描述了使用Viola-Jones类型分类器级联来检测方向性照明的技术。 Assigned to the assignee of the present application is U.S. Patent Application Serial No. 12 / 038,147,61 / 106,910 and 61 / 221,425 describe techniques using Viola-Jones type and cascaded to detect directional lighting. 然而，除了结合脸部追踪技术一起使用这种情况外，确定和修正照明梯度通常会涉及全局分析，其中脸部追踪技术诸如是在美国专利7,403,643和7,315,631以及美国申请序列号11/766,674(公开为2008/0037840)和12/ 063,089、61/091，700、61/120,289和12/479,593中描述的技术，这些专利全部转让给本发明的受让人。 However, in addition to face tracking technique used in conjunction with such a case, the gradient is determined and corrected illumination typically involves global analysis, which is a face tracking technique, such as in U.S. Patent No. 7,403,643 and 7,315,631 and U.S. Application Serial No. 11 / 766,674 (published as 2008/0037840) and art 12 / 063,089,61 / 091,700,61 / 120,289 and 12 / 479,593 described in these patents are all assigned to the assignee of the present invention. 期望具有这样的技术，其针对某些应用和/或在某些情况、环境或约束下，使用局部模糊核(kernel)，而非使用涉及较低效的全局分析的技术。 Desirable to have a technique, which for certain applications and / or in some cases, or environmental constraints, using local blur kernel (Kernel), instead of using a technique less efficient global analysis. Kodak的专利7,212,657在图13-图14中示出了生成阴影/峰值图像(基于生成亮度图像和平均亮度图像）、模糊图像和混合图像。  Kodak patent 7,212,657 in Figure 13 is shown in FIG. 14 to generate the shadow / peak image (luminance image based on the generated image and the average luminance), the mixed image and the blurred image. Kodak专利公开了通过从亮度图像中减去平均亮度图像来生成阴影/醒目显示强度图像。 Kodak patent discloses generated by subtracting an average luminance image from the luminance image, the shadow / highlight strength image. 而且，在图16中，Kodak专利示出了元素1530， 其被标记为“使用峰值/谷值图和颜色信息来生成亮度和色度缩放因子”，以及元素1540,其被标记为“修改蒙板区域中像素的亮度和色度”。 Further, in FIG. 16, the Kodak patent shows an element 1530, which is marked as "used Peak / Valley FIGS color information and generates luminance and chrominance scaling factor", and element 1540, it is marked as "modifying a mask plate region luminance and chrominance pixels. " Kodak专利中描述了脸部检测，但未描述脸部追踪。 Kodak patents described face detection, face tracking but not described. 与P&amp;G技术类似，Kodak技术涉及全局图像操纵，S卩，“亮度图像”并未被指示为包括少于整个图像的任何事物，“模糊图像”涉及向整个图像应用核，以及“混合图像”涉及全局图像的三个拷贝。  and P & amp; G technology Similarly, the Kodak technique involves global image manipulation, S Jie, "luminance image" has not been indicated as including anything less than the entire image is "blurred image" refers to the entire image applications nucleus, and "combined image" relates to three copies of the global image. “模糊图像”涉及色度和亮度数据，这意味着为了操纵图像需要使用大量的存储器，尤其在应用涉及资源受限的嵌入式系统的情况下更是如此。 "Blurred image" refers to chrominance and luminance data, which means that in order to manipulate the image requires a large amount of memory, especially in the case of applications involving the resource constrained embedded systems. 关于亮度和色度缩放因子，即使其涉及局部化的缩放因子，Kodak专利中也未将其描述为是为了应用于少于整个图像的任何事物而生成的。 Luminance and chrominance scaling factor, even if it involves localized scaling factor, the Kodak patents also not be described as applied to anything less than the entire image is generated. 转让给本申请受让人的美国专利申请序列号11/856,721和12/330,719描述了这样的技术，其可以在图像的相关区域上作为单个类光栅扫描而应用，而不用涉及全局分析或者确定全局特性(诸如，平均亮度图像或者阴影或模糊图像）。  assigned to the assignee of the present application is U.S. Patent Application Serial No. 11 / 856,721 and 12 / 330,719 describes a technique which may be applied as a single raster-scan on the relevant region of the image, that does not involve global analysis or determining global characteristics (such as average luminance image or a blurred image or shading). 与P&amp;G专利或Kodak专利相比，这种通过了预定区域的单次通过扫描为嵌入式系统(诸如，数码相机)提供了更高效和更适合的技术。 And P & amp; G as compared to Kodak patents or patent, by which the single predetermined area and provides a more efficient and more appropriate scanning techniques for embedded systems (such as digital cameras). Hewlett Packard (HP，惠普）公开的专利申请2002/0081003提到喷色法，其通常涉及在图像的样本(例如，可能包括瑕疵或皱纹)上涂覆颜色。  Hewlett Packard (HP, Hewlett-Packard) Patent Application 2002/0081003 disclosed methods mentioned color spray, which typically involves the coating color sample image (e.g., may include blemishes or wrinkles). HP公开还提到在人脸图像的皱纹上进行模糊化，并且再一次具体描述了对定义了皱纹和周围皮肤的颜色值进行模糊化或混合。 HP disclosed further obfuscate mentioned wrinkles on the face image, and again specifically described blurring or color mixing of the defined values ​​were wrinkles and surrounding skin. HP应用提到了改变亮度以使脸部特征变亮或变暗，诸如使脸部特征变阴暗，并且继续描述了改变与该特征相关联的皮肤颜色值，以便使该特征变阴暗。 HP-mentioned applications to make changes brightness brighten or darken a facial feature, such as the face, wherein becomes dark, and goes on to describe a change in skin color with the feature value associated, so that the characteristic becomes dark. HP专利进一步公开了通过模糊颜色值来模糊前额和/或脸颊和/或锐化发线。 HP patent further discloses a color value to fuzzy blur forehead and / or cheek and / or sharpening hairline. 在HP专利中并未描述在多张图像(即， 全分辨率或低分辨率和/或子样本参考图像(诸如，在捕获主全分辨率图像之前、期间或之后，利用单独的成像系统捕获的预览、后览(postview)和/或参考图像)）上的脸部检测和脸部追踪，也没有针对平滑或模糊数字脸部图像的亮度数据给出任何建议。 In the HP patent does not describe the multiple images (i.e., full resolution or low resolution and / or sub-samples the reference image (such as, prior to the main full resolution image capture, during or after the use of a separate imaging system captures preview postview (postview) and / or the reference image) on face detection and face tracking), and also does not give any suggestions for smoothing or blurring digital luminance data of the face image. 肖像是数码照片中最流行的场景之一。  portrait is one of the most popular digital photos of the scene. 肖像图像上的图像润饰是图像处理系统的期望组件。 Image retouching the portrait image is the desired image processing system components. 用户可能利用传统软件花费大量时间来隐藏皱纹和瑕疵以使肖像更加漂亮。 Users may use traditional software spend a lot of time to hide wrinkles and blemishes to make portraits more beautiful. 期望提供创新性的自动肖像场景增强器，其适用于嵌入式设备，诸如，数码照相机、相机电话或其他手持式或以其他方式可便携的具有图像获取组件(例如，镜头、图像感测器)和处理器的消费类电子产品。 Desirable to provide innovative automatic booster portrait scene, which is suitable for embedded devices, such as digital cameras, camera phones or other handheld or otherwise portable may have image acquisition assembly (e.g., lens, image sensor) processors and consumer electronics products. 提供了一种使用处理器来增强数字图像内脸部外观的方法。  using a processor to provide a method for enhancing the appearance of a face within a digital image. 获取包括脸部的场景的图像。 Acquiring an image including the face of the scene. 标识该数字图像内的脸部。 Identifying the face within the digital image. 在脸部中标识要利用局部化的亮度平滑进行增强的一个或多个子区域。 To identify the face using localized luminance smoothing enhanced one or more sub regions. 向在脸部内标识的一个或多个子区域中的一个应用一个或多个局部化的亮度平滑核中的每一个，以产生脸部的一个或多个增强子区域。 To each application a core of one or more sub-regions identified within the face of one or more localized luminance smoothing, to produce one or more enhanced sub-regions of the face. 向在脸部内标识的一个或多个子区域的亮度数据应用一个或多个局部化的平滑核。 Applying one or more localized luminance smoothing kernels to the one or more sub data region identified within the face. 生成增强图像，其包括脸部的增强版本，该脸部的增强版本包括某些原始像素和与脸部的一个或多个增强子区域对应的像素。 Generating an enhanced image including an enhanced version of the face, the face including an enhanced version of the original pixel and a certain face or more enhanced sub-regions corresponding to pixels. 显示、传输、传达和/或数字式存储和/或以其他方式输出增强图像和/或进一步处理的版本。 Display, transfer, and to convey and store images or digital versions and / / or otherwise enhance the output / or further processing. 局部化的亮度平滑可以包括模糊亮度数据或针对其取平均，或者其组合。  localized luminance smoothing luminance data may include blurred or averaged for which, or combinations thereof. 可以向一个或多个子区域应用一个或多个局部化的颜色平滑核。  may apply one or more localized color smoothing kernels to the one or more sub regions. 已修正图像的一个或多个增强子区域还可以包括至少通过局部化的颜色平滑从脸部的原始像素或以其他方式处理的像素修改而来的像素。 One or more enhanced sub-regions of the corrected image may further comprise at least by localized color pixel from the original pixel smoothing face or otherwise modified from. 可以向一个或多个子区域应用噪声减小或增强。  may be applied to one or more sub-region noise reduction or enhancement. 已修正图像的一个或多个增强子区域还可以包括至少通过局部化的噪声减小或增强从脸部的原始像素或以其他方式处理的像素修改而来的像素。 One or more enhanced sub-regions of the corrected image may also include reduction or enhancement of the pixel from the original pixel or face otherwise modified from the processing of the at least by localized noise. 可以确定脸部的一个或多个子区域中的某些非肤色像素为不具有阈值肤色。  face can be determined one or more sub regions certain non-skin tone pixels having no color threshold. 可以移除、替换这些非肤色像素、减小其强度，和/或修改其颜色。 May be removed, replace these non-skin tone pixels, to reduce its strength, and / or modify its color. —个或多个增强子区域的增强像素可以包括增强的强度，其包括原始像素强度与一个或多个原始的和/或增强的子区域中局部平均强度之间关系的一个或多个函数。  - one or more enhanced sub-regions of enhanced pixels may include increased strength, which includes a relationship between the original and / or enhanced sub-regions between the local average intensity of the original pixel intensity or with one or more functions. 可以检测脸部内一个或多个口部和/或眼部区域。  one or more ports may be detected and / or within the eye region of the face. 可以标识和增强一个或多个口部和/或眼部区域内一个或多个子区域的自然颜色。 You may identify and enhance the one or more ports and / or one or more sub-regions of the natural color of the eye region. 这些子区域可以包括一个或多个牙齿、 嘴唇、舌头、眼白、眉毛、虹膜、睫毛和/或瞳孔。 These sub-regions may include one or more teeth, lips, tongue, whites, eyebrows, iris, eyelashes and / or pupil. 还提供了一种数字图像获取设备，其包括镜头、图像感测器、处理器和处理器可读存储器，其上实施有用于对处理器进行编程以执行在此描述的任一方法的处理器可读代码，该代码尤其用于增强数字图像中脸部或其他特征的外观。  further provided a digital image acquisition device, which includes a lens, an image sensor, a processor and a processor-readable memory for a method according to any processor programmed to perform the embodiments described herein which processor-readable code, which is used in particular to enhance the appearance of a digital image of a face or other features. 还提供了一个或多个处理器可读介质，其中实施有用于对一个或多个处理器进行编程以执行在此描述的任一方法的代码。  Also provided one or more processor-readable media, embodied therein for programming one or more processors to execute the code in any of the methods described herein. 在某些实施方式中，将使用预览、后览或其他参考图像的脸部追踪与脸部修饰结合在一起，其中这些图像是使用同一个或单独的成像系统获取的以作为主全分辨率图像。  In certain embodiments, the use of the preview or other reference postview face tracking and face image is combined with a modified, wherein the image using the same or a separate imaging system to obtain the whole as a primary resolution image. 这涉及平滑和/或模糊脸部特征或脸部区域、皱纹/瑕疵移除，或其他数字美容调整。 This involves smoothing and / or blur the face area or face feature, wrinkles / removing blemishes, or other digital cosmetic adjustments. 在某些实施方式中，将亮度通道用来平滑不好看的特征，而在这些实施方式的较小子集中，仅将亮度通道用于平滑，而不使用任何颜色通道。 In certain embodiments, the luminance channel is used to smooth the unattractive features, and in these embodiments the smaller sub-set, only the luminance channel for smoothing without using any color channel. 除了亮度通道之外，其他实施方式还使用一个或多个颜色通道，并且这些实施方式可以使用脸部追踪，或者也可以不使用。 In addition to the luminance channel, other embodiments also use one or more color channels, and these embodiments may use face tracking, or may not be used. 在某些实施方式中，基于特定像素周围的像素值平均来执行脸部区域的局部化修改。  In certain embodiments, the average performed localized modification of the face region based on pixel values ​​around a particular pixel. 此局部化的平均/模糊核可以单独应用在亮度通道上，从而减小了在诸如便携式数码相机、相机电话、配备有相机的手持式计算设备等之类的嵌入式系统上的计算。 This localized average / blur kernel may be applied in a separate luminance channel, thereby reducing the calculation on the embedded system such as a portable digital camera, a camera phone, a camera-equipped handheld computing devices of the like. 可以将单次通过过滤核配置用于仅在位于图像预定区域内的局部亮度值上起作用，并且单次通过过滤核可以与二进制皮肤图结合。  by filtration and may be a single-core configuration for local luminance values ​​located within a predetermined image area only function, and may be combined with a single binary skin by filtration nuclear FIG. 这在诸如数码相机的嵌入式成像系统中非常有效，其利用较少存储器并且执行起来更快速。 This is very effective in embedded imaging system such as a digital camera, which uses less memory and execute faster. 可以通过改变脸部的一个或多个子区域的所选亮度值来实现模糊或使阴暗。  may be implemented by changing a dark blur or to a selected one or more sub luminance value of the face region. 实施方式涉及在图像的样本上应用或减小亮度，该样本例如可以包括瑕疵或皱纹。 Embodiment relates to the use or reduce the brightness of the image on the sample, the sample may comprise, for example, blemishes or wrinkles. 也可以向在人脸图像上包括皱纹的脸部特征区域应用模糊。 Fuzzy may also be applied to the facial features on the face image region including wrinkles. 模糊和/或混合限定了皱纹和周围皮肤的脸部特征区域(例如，后颊区域、鼻翼、前额、下颚、脸颊区域）的亮度值。 Blurry and / or mixing define wrinkles and facial feature region surrounding skin (e.g., the cheek region, the nose, forehead, chin, cheek region) brightness value. 可以改变亮度以使脸部特征变亮或变暗，诸如使脸部特征暗淡，并且这可以通过改变与该特征相关联的皮肤的亮度值以使该特征变暗或变亮来实现。 Can change the brightness so brighten or darken a facial feature, such as the face, characterized in dark, and this may be the luminance value of the skin associated with the feature by feature changed so that the darker or brighter achieved. 在某些实施方式中，提供了一种技术，其包括作为获取过程一部分的静态图像相机内处理，该静态图像包括一个或多个脸部。  In certain embodiments, a technique is provided which includes a handle acquisition process within a portion of a still image camera, a still image which comprises one or more faces. 该技术包括标识在便携式相机上数字式获取的静态图像内的脸部的像素群组。 The technique involves identifying a group of pixels within a still image of the face of the digital compact camera acquired. 确定该图像内包括该像素群组的一个或多个第一处理部分(该第一部分可以被表征为前景）。 Determining within the image comprises one or more of the first pixel group processing section (the first section may be characterized as the foreground). 继而确定该图像中除了该像素群组以外的一个或多个第二处理部分(并且可以被表征为背景）。 Then determines that the one or more image processing section other than the second group of pixels (and may be characterized as background). 为了生成包括脸部的经处理图像，该技术可以包括利用确定水平的平滑、模糊、噪声减小或增强，或涉及像素的一个或多个亮度分量的其他皮肤增强技术来自动地在相机内处理第一处理部分，而基本上向第二处理部分应用很少的或几乎不应用平滑、模糊、噪声减小或增强或者其他方式。 To generate processed image including a face, the technique may include the use of determining the level of smoothing, blurring, noise reduction or enhancement, or other skin pixels involving one or more components of the luminance enhancement techniques automatically processed within the camera a first processing section, substantially little or hardly applied to the second processing section applies the smoothing, blurring, noise reduction or enhancement, or other means. 包括脸部的经处理图像或进一步处理的版本继而被存储、显示、传输、传达、投影或以其他方式进行控制或输出至诸如打印机、显示器、其他计算设备或者其他数字呈现设备，以便查看经相机内处理的图像。 Processed image including the face or further processed version is then stored, displayed, transmitted, communicated, or projected or otherwise output to a control such as a printer, a display, other computing devices, or other digital rendering devices for viewing by the camera the image processing. 该方法可以包括在相机内生成、捕获或以其他方式在相机内获得包括脸部的低分辨率图像的集合，以及确定第一处理部分包括分析该低分辨率图像的集合。 The method may include generating in-camera, captured or otherwise obtained low-resolution image comprises a set of faces in the camera, and a determination processing section comprises a first set of the analysis of the low-resolution image. 该分析可以包括追踪低分辨率图像的集合中的脸部。 This analysis may include a set of low-resolution images to track the face. 图IA-图IB示出了脸部的未处理图像和经处理的图像，其中处理涉及向该脸部的区域应用选择性平滑或模糊。  FIG FIGS IA- IB shows an image processed and unprocessed images of the face, wherein the processing relates to the area of ​​application of selective smoothing or blurring of the face. 图2A-图2C示出了脸部区域的标识，以及脸部图像的经处理版本和未处理版本，其中处理涉及向该脸部的某些区域应用选择性平滑或模糊。  FIGS. 2A- 2C illustrates an identification face area, and the processed version of the face image and the unprocessed version, wherein the processing relates to certain areas of the face by selective smoothing or blurring. 利用包括脸部区域的至少一个参考图像，在某些实施方式中利用不止一个参考图像，来检测脸部区域。  use of a face region including the at least one reference image by using more than one reference image In some embodiments, the detected face region. 在使用多个参考图像的那些实施方式中，优选地追踪脸部区域。 In those embodiments using a plurality of reference images, it is preferable to track a face area. 脸部检测和追踪优选地根据上述和下述美国专利和美国专利申请中描述的一个或多个技术来执行。 Face detection and tracking is preferably performed according to the above description and the following U.S. patents and U.S. patent application one or more techniques. 在给定输入图像和输入图像的一个或多个(优选地，两个或更多）较小的、经子采样的和/或缩减分辨率的版本(例如，一个QVGA和一个XGA)的情况下，使用脸部检测以及优选地使用脸部追踪来确定该输入图像内的脸部的位置和脸部中眼部的位置。  In a given input image and the input image or more (preferably two or more) smaller, and the reduced resolution version subsampled / or (e.g., a QVGA and one XGA ) in the case of using face detection and face tracking is preferably used to determine the position of the face and the eye of the face in the input image. 图IA示出了包括脸部的未处理图像的示例，或者至少具有原始图像数据或者利用除在此处参照实施方式描述的选择性局部化的平滑或模糊之外的方式进行了处理的图像数据的脸部图像示例。 FIG IA shows an example of a face image including unprocessed, or at least the raw image data or by means other than the selective localized smoothing or blurring embodiment described herein with reference to the embodiment of the image data have been processed sample face image. 脸部修饰方法应用选择性模糊和/或其他平滑，诸如局部化的平均或根据以下详述的、增强皮肤(例如，柔和化和/或减少皱纹和/或斑点）的一个或多个方法。 A method of modifying facial selective application of fuzzy and / or other smoothing, averaging or localized in the following detailed description, enhance skin (e.g., soft and / or reduce wrinkles and / or spots) of one or more methods, such as. 图IA示出了在应用选择性平滑之前的未处理的脸部图像。 FIG IA shows untreated facial image prior to application of selective smoothing. 图IB示出了图IA的脸部图像的经处理版本，S卩，在向脸部的某些子区域应用了选择性平滑之后。 Processed version of FIG. IB shows a face image of FIG. IA, S Jie, after applying selective smoothing to some sub-area of ​​the face. 在示例性实施方式中，该方法可以如下执行。  In an exemplary embodiment, the method may be performed as follows. 标识脸部的某些子区域，例如，矩形子区域或者其他多边形或者弯曲或部分弯曲的子区域，其具有或者不具有一个或多个尖端或者其他陡峭的分段式交叉点或间断。 Some sub-regions of the face identification, for example, a rectangular sub-region, or other polygonal or curved or partially curved sub-region, with or without one or more tips or other sharp intersection segmented or interrupted. 这些子区域可以是希望向其应用选择性平滑的地方，或者这些子区域可以是希望在其范围之外应用选择性平滑的那些地方，或者这些的组合。 These sub-regions may be selectively applied thereto desirable smooth, or where these sub-regions may be desired to selectively apply smoothing in those places from its scope, or combinations of these. 例如，诸如两只眼睛和口部的三个子区域可以被标识出以便不应用选择性平滑，和/或诸如前额、两个脸颊和下颚的四个子区域可以被特别选择以便应用局部化亮度平滑。 For example, such as eyes and mouth of the three sub-regions may be identified so as to selectively smoothing is not applied, and / or the forehead, cheeks and chin of the two four sub-regions, such as may be specifically selected to apply localized luminance smoothing. 现在，在标识出两只眼睛和口部的实施方式中，检测这些脸部子区域/矩形周围的皮肤。  Now, an embodiment of identifying two eyes and a mouth portion, the detection of these sub-regions / rectangle around the facial skin. 在有些实施方式中，这可以包括创建二进制皮肤图像，包括分割图像的QVGA版本。 In some embodiments, this may include creating a binary image of the skin, including QVGA version of image segmentation. 在一个实施方式中，这涉及YCbCr中进行的阈值设定。 In one embodiment, this involves a threshold set in the YCbCr. 可以在脸部周围定义较大的矩形或其他形状以作为一个整体。  define a larger rectangle or other shape around the face as a whole. 即，此处的大部分实施方式可能都不希望在此较大脸部形状之外应用选择性平滑(尽管可能存在其他原因要平滑或模糊数字图像中的所检测脸部周围的背景或其他区域，诸如模糊背景区域以便醒目显示前景中的脸部;例如，参见转让给同一受让人的美国专利7,469,071和美国申请序列号12/253,839)。 That is, most of the embodiments herein may not want the larger outside this application of selective smoothing face shape (although there may be other reasons for smoothing or blurring a digital image detected in the background around the face or other areas , such as a blurred background in the foreground area so as to highlight the face; e.g., see, assigned to the same assignee of U.S. Patent No. 7,469,071 and U.S. application serial No. 12 / 253,839). 可以利用形态学上的操作来过滤皮肤图。 Operation may be utilized on morphological filtering Skin FIG. 可以选择保留脸部内的最大区域， 并且区域可以基于其他标准来选择，这些标准诸如是整体亮度、某个阈值亮度对比度(诸如可以指示有皱纹的皮肤）、颜色资格(诸如，一定量的红色）、有斑点的纹理或者脸部的区域或子区域的其他不满意特征。 May be selected within the maximum retention face region, and the region may be selected based on other criteria, standards such as the overall brightness, a luminance contrast threshold (such as may be indicative of wrinkled skin), the color of qualification (such as, an amount of red ), other feature region or sub-region are not satisfied with the spot face or texture. 可以基于以下来检测嘴唇:颜色信息(Cr分量），和/或眼部、鼻子和/或耳朵或其他脸部特征(诸如，下颚、脸颊、鼻部、面部毛发、额顶毛发或颈部）的位置， 和/或为检测嘴唇专门设计的形状检测器。 Lips can be detected based on: the color information (Cr component), and / or the eyes, nose and / or ear, or other facial features (such as, chin, cheeks, nose, facial hair, or hair frontoparietal neck) position, and / or designed to detect the shape of the lips detector. 修正一个或多个脸部区域内（不包括眼部区域和口部区域)的皮肤。  Fixed one or more faces in the region (not including the eye area and mouth area) of the skin. 在某些实施方式中，这涉及利用不同的亮度值(诸如，其邻居的平均值)来替换脸部区域内皮肤像素的亮度分量，其中邻居例如是周围皮肤像素的基本上所有或者相当多的采样，或者来自一个方向的大部分像素的全部，就好像这些像素由相机与对象在某个方向的相对运动引起的模糊像素进行了替换一样。 In certain embodiments, this involves replacing the luminance component of the pixels within the facial region of the skin using a different brightness values ​​(such as the average value of its neighbors), wherein substantially all or a neighbor, for example, quite a number of pixels surrounding skin sampling, or all from one direction most of the pixels as if these pixels caused by the camera and the object in a certain direction relative motion blur pixel as a replacement. 平滑可以包括对来自脸部其他区域的皮肤像素的平均处理，和/或可以是除了平均以外的计算，诸如使某些像素与其他像素相比具有优先级。 The smoothing process may include an average of the pixel from the skin of the face of the other regions, and / or may be other than the calculated average, as compared with other pixels of certain pixel has priority. 经过优先级化的像素可以最接近被替换的像素，或者可以具有与优选肤色关系更大的颜色和/或亮度。 After the prioritized pixels may be replaced with the closest pixel, or may preferably have a larger color relationship with the color and / or brightness. 某些标准可以被应用以作为修正图像内区域的要求。  In certain criteria may be applied as the required correction within the image area. 例如，其可以将区域位于脸部内设置为必要条件，尽管备选地，可以修正人的颈部、腿部、臂部、胸部或其他区域的皮肤。 For example, it may be necessary to set the region of the inner face of conditions, although alternatively, the skin may be modified neck, legs, arms, chest or other area of ​​the human. 可以将亮度分量位于某个范围内设置为必要条件。 The luminance component may be positioned to set the necessary conditions within a certain range. 该范围可以取决于某个脸部内皮肤的平均亮度或者优选亮度或选择的亮度。 The range may be dependent on a brightness average brightness of the face or skin, or preferably a selected brightness. 某个像素可以根据其与脸部内的其他细节(例如， 眼部、鼻子、嘴唇、耳朵、毛发等）的关系而被选择或不选择。 A pixel may be selected or not selected according to its relationship with other details in the face (e.g., eyes, nose, lips, ears, hair, etc.). 在修改当前像素时使用的邻居数量(即，核大小)可以因以下而变化:脸部的大小相对于图像的大小，或者亮度值的标准偏差，和/或可以考虑的其他因素，诸如分辨率或者针对应当接受在何种程度上修复特定脸部区域或子区域的确定。 The number of neighbors used when modifying the current pixel (i.e., nuclear size) may vary due to the following: size of the face with respect to the standard deviation of the size of the image, or a luminance value, and / or other factors may be considered, such as resolution or determine a specific repair should accept the face area or subarea to what extent. 如果与图像相比脸部太小(例如，脸部使用的像素面积低于可用像素面积的阈值百分比），则该系统可以被设置为不应用皱纹、斑点等的修正，因为这种不期望的特征可能不容易看见。 If the face is too small as compared with the image (e.g., the pixel area of ​​the face below the threshold percentage used in the available pixel area), the system can not be applied as a correction set wrinkles, spots, etc., because it is not desirable features may not be readily visible. 可以在XGA图像上完成平均或者其他平滑或模糊，以便改进速度。 XGA image can be done on the average, or other smooth or blur, in order to improve speed. 某些实施方式中的模糊核或平滑核可以因特定于基于其生成修正图像的图像和/ 或图像组的一个或多个因素而改变、调整、选择和/或配置。  The blur kernel smoothing kernel or some embodiments may be specific to the image and / or a plurality of image groups or factors based on the corrected image is changed by adjusting the selection and / or configuration. 一个因素可以是脸部图像相对于主图片的大小。 One factor may be the face image with respect to the main picture size. 其他因素可以包括整个图像和/或脸部区域的分辨率、处理能力和/SRAM 或R0M容量，和/或嵌入式设备的显示、投影或传输能力，或者利用其获得图像、处理图像和/ 或输出图像的处理或渲染环境。 Other factors may include the resolution of the entire image and / or the face area, and the capability to display / SRAM or R0M capacity, and / or embedded devices, or the projector transmission capacity, or by obtaining an image thereof, image processing and / or the output image processing or rendering environment. 模糊核可以包括脸部大小（例如，图像的5%、图像的10 %、图像的20 %等）针对核大小(例如，3X3、4X4、5X5等）的表格、公式、计算和/或图表。  The blur kernel may include a face size (e.g., 5% of the image, the image of 10%, 20% of the image, etc.) for the core size (e.g., 3X3,4X4,5X5 like) tables, formulas, and calculation / or charts. 核还可以基于脸部中子区域的相对位置进行调整。 The core may also be adjusted based on the relative position of the face region of the neutron. 应用于脸颊的核可以配置用于有效地模糊脸颊，而应用于眼部周围皮肤的不同核可以配置用于最有效地模糊/平滑该皮肤，针对前额中的皮肤、口部/下颚周围的皮肤等也是如此。 Applied to the core may be configured cheek effectively blur the cheek, and applied to the skin around the eye of a different core can be configured to most effectively blur / smoothing the skin, for the forehead skin, the mouth / jaw surrounding skin and so on as well. 可以向有须区域或其他毛发区域应用不同的核，或者可以不向这种区域应用平滑。 May be applied to a different core region shall have a hair or other region, or may not be applied to smooth such region. 在特定简单示例性实施方式中，在脸部较小时，模糊/平滑核较小(可以使用两个或更多水平或者一个或多个阈值）。 In a particular embodiment a simple exemplary embodiment, when the face is small, blur / smoothing kernel is small (two or more levels may be used or one or more thresholds). 模糊核可以减小眼部、嘴唇、鼻子、有须区域、低亮度区域或者黑色区域周围的工作量。 Blur kernel can be reduced eye, lips, nose, around the work area must have a low luminance region or the black region. 模糊核可以依据感兴趣点周围的平均亮度。 Blur kernel can be based on the average brightness of the surrounding points of interest. 某些实施方式中的方法可以包括应用选择性皮肤增强和/或噪声移除。 Some methods of the embodiments  Applications that may include the selective enhancement of skin and / or noise removal. 在可能不应用修饰过滤器或模糊/平滑核时，这提供了确定面部区域的备选方式。 When the application may not be modified or blur filter / smoothing kernel, which provides an alternative way to determine the face area. 脸部修饰器可以使用在此处引用的参考中（参考下文)描述的脸部追踪技术中收集的某些相关数据。  face may be modified in the references cited herein (see below) describes a face tracking certain relevant data collected art. 该信息可以包括脸部的位置和/或脸部内的特征(诸如，一只或两只眼睛、口部或鼻子）、关于在何处检测到皮肤及其颜色、亮度、阴影区域、相对于进入光的方向等的信息。 This information may include the position of the face and / or characteristics (such as, one or both eyes, mouth or nose) of the face or, where the detected skin on its color, brightness, a shadow area, with respect to the direction of incoming light information and the like. 该数据还可以包括脸部区域内的Cb、Cr、Y范围和/或背光图像信息。 The data may further comprise Cb, Cr, Y range and / or a backlight image information within the face region. 根据某些实施方式的技术可以使用对亮度通道的修改来实现皮肤的过滤。  can be used to modify the luminance channel technology according to certain embodiments of the skin to achieve filtering. 也可以使用与亮度通道中的变化有关的数据，并且可以使用脸部区域或子区域的皮肤的纹理信息。 You may also use data relating to the change in the luminance channel, and may use the information of the skin texture of the face region or sub-region. 这种纹理信息可以包括某个色度数据，但是也可以仅包括定义图像中这种纹理的亮度数据。 Such a chrominance texture information may include data, but may also include only the luminance data that define the texture image. 在选择和/或执行模糊/平滑时，可以利用亮度的变化，并且亮度的变化可以专门用于从刮过脸的男人或者甚至没刮脸的男人(其中变化较大)的脸部纹理中分离出皱纹(其通常是相当孤立的）。 When selecting and / or blur / smoothing, changes in brightness can be utilized, and the luminance variation can be dedicated to separated from the shaven man or men (where large changes) even in the face texture of unshaven wrinkles (which is usually quite isolated). 纹理信息可以涉及针对区域或子区域均匀或者不均匀到何种程度的测量。 Texture information may relate to measurements for the sub-region or uniform region or to what extent the unevenness. 纹理信息可以包括识别的、学习的或者新分析的模式，其可以仅在亮度通道上进行分析和/ 或还可以在一个或多个颜色通道上进行分析。 Texture information may include identification, or a new learning pattern analysis, which may be performed only on the luminance channel analysis and / or further analysis can be performed on one or more color channels. 在某些实施方式中，仅脸部和眼部可以是强制的，而在其他实施方式中，可能需要某些其他特征。  In certain embodiments, only the face and eyes may be mandatory, while in other embodiments, certain other features may be required. 可以使用脸部追踪，但是其并不是在修饰脸部时提供巨大优势的技术所必需的。 You can use face tracking, but it does not provide a huge advantage in the face of technical modifications are necessary. 可以仅使用脸部检测或者使用脸部追踪来收集图像中脸部的位置。 Face detection may be used only to collect or use face tracking position of the face image. 可以使用脸部追踪来收集动态皮肤图和/或对比信息。 Face tracking may be used to collect dynamic FIGS skin and / or contrast information. 在数码相机或实时成像装置中，可以操作实时脸部追踪子系统（其可在独立于主图像的预览、后览或其他参考图像的序列上操作），并且在获得主图像时，可以基于下述来执行脸部增强：（i)针对获得的主图像中脸部区域的分析和（ii)针对从实时脸部追踪子系统确定的脸部区域元数据的分析。 When  In the real-time digital camera or imaging device may be operated in real-time face tracking subsystem (which may operate independent of the primary sequence of the preview image, the view or other reference images), and the main image is obtained, analysis for the main image obtained face region and (ii) analysis of real-time tracking subsystem determines from the face region of the face metadata (i): may be performed based on the facial enhancement. 除了要增强的图像之外，算法可以使用（如果有的话)额外信息，其包括给定图像中将帮助限制搜索区的眼部和脸部位置，以及初始图像的两个重新调整了大小的拷贝（例如，一个QVGA和一个XGA)。  In addition to image enhancement algorithm may be used (if any) additional information, which comprises administering to the eye will help limit given image and the face position search region, and two initial image readjusted the size of the copy (e.g., a QVGA and one XGA). 这两个图像可以在准确性不那么严格的情况下用作快速处理能力。 The two images can be used as a fast processing capability in the accuracy of the less stringent conditions. 针对感兴趣的区域(在此示例中是整个脸部矩形或其他形状)计算平均饱和度。  for the region of interest (in this example, it is the entire face rectangle or other shape) to calculate the average saturation. 为了避免在诸如侧照明情况下的问题，还可以计算针对整个图像的平均饱和度，并且可以使用二者中的最小值。 In order to avoid problems such as side lighting conditions may also be calculated for the average saturation of the entire image, and can use both of the minimum value. (从脸部矩形）提取有关肤色信息。  (from the face rectangle) to extract information about the skin color. 这通过几何考虑（以及附加地，通过颜色过滤） 完成。 This is accomplished by considering the geometry (and additionally, through a color filter). 在一个实现中，这意味着矩形的上、左和右以这样的方式改变，即，对每侧的1/5不做考虑。 In one implementation, this means that on the rectangle, the left and right in such a way to change that 1/5 of each side are not considered. 底部(基于图像定向）保持不变，或者与认为包含颈部是否重要无关。 The bottom (based on the orientation of the image) remains the same, or whether the neck and believed to contain important is independent. 颜色过滤的一个实现可以是对被确定为具有非肤色(例如，蓝色像素）的像素颜色的改变或亮度的消除或减小。 A color filter may be implemented to eliminate or reduce the color of the pixel is determined to be changed with a non-color (e.g., blue pixels) or brightness. PCA (主元分析)过程可以应用于剩余像素。  PCA (Principal Component Analysis) process may be applied to the remaining pixels. 可以由三元组给出像素。 It may be given by a triplet of pixels. 计算给定像素的协方差矩阵。 Computing a covariance matrix of a given pixel. 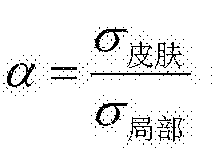 继而找到该协方差矩阵的本征向量和本征值。 The RA then find covariance matrix of eigenvectors and eigenvalues. 得到的三个本征向量代表新3D坐标系统的轴。 Axis represents the new three eigenvectors obtained 3D coordinate system. 进一步考虑两个较不重要的轴(对应于两个最小的本征值）。 Less important further consideration two axes (corresponding to the two smallest eigenvalues). 计算两个上述轴上所有已检查像素的坐标。  calculated for all the pixels have been checked two coordinate axes described above. 继而计算坐标的绝对值的两个直方图：一个直方图用于一个轴。 Then calculates the coordinates of the absolute value of the two histograms: a histogram for a shaft. 针对两个直方图中的每一个，可以例如使用以下过程来确定可接受阈值。 A histogram for each of the two, for example, using the following procedure to determine an acceptable threshold. 计算对应的累积直方图H。 A cumulative histogram calculation corresponding to H. 该阈值用来例如为像素总数的给定百分比确定界限(即，阈值Th用来例如H (Th)〜=p%，其中p是预定值）。 The threshold value is used to determine, for example, to limit to a given percentage of the total number of pixels (i.e., the threshold value Th for example H (Th) ~ = p%, where p is a predetermined value). 通过为p选择不同的值，可以改变皮肤过滤的强度。 By selecting different values ​​of p, the filter strength may change the skin. 例如，P的取值可以在90.0% (用于强过滤)与97.5% (用于许可性过滤)之间变化。 For example, the value P may be (for strong filtering) at 90.0% and 97.5% (for permissive filter) vary. 计算在PCA步骤之后得到的两个轴上每个图像像素的坐标，以及检查绝对值是否小于在上一步骤中获得的阈值。  The two coordinate axes of each image pixel is calculated after the PCA step, and checking whether the absolute value is smaller than the threshold value obtained in the previous step. 针对要考虑为皮肤类型的像素，可以进行进一步验证。  To be considered for the skin type of the pixels, it can be further verified. 一个示例是检查饱和度在YUV颜色空间中是否足够大。 One example is to check saturation YUV color space is large enough. 基于在第一阶段计算的平均饱和度，可以验证每个像素具有足够大的U值和V值中的至少一个。 Calculated based on the average saturation in the first stage can be verified for each pixel has a sufficiently large U and V values ​​at least one. 而且，检查像素的亮度水平以位于预定色域内。 Moreover, checking the luminance level of pixels positioned at a predetermined color gamut. 这是因为不希望修饰黑色的毛发或者颜色信息不可靠的太亮区域。 This is because they do not want to modify or black hair color information is not reliable too bright areas. 同时，可以在整个图像上应用通用皮肤检测算法(例如，YUV空间上的简单阈值设定），以便获得较不可靠但更具包含性的皮肤图。  Meanwhile, general skin detection algorithm can be applied (e.g., a simple threshold value is set on the YUV space) over the entire image, to obtain a less reliable but more inclusive skin FIG. 通用皮肤图的角色可以是多样的，因为其可以在不存在脸部信息的情况下替代PCA皮肤图。 General view of the role of the skin can be diverse, because it can replace the PCA skin map in the case of face information does not exist. 皮肤图还可以用于通过帮助决定是否要填充该图中的洞来改进PCA皮肤图。 Skin map can also be used to improve the PCA skin map by helping decide whether to fill the hole in the figure. 该皮肤图可以向PCA皮肤图添加“不确定的皮肤像素”， 或者具有较低置信度、要被修正块单独处理的像素。 The skin may be added to FIG PCA skin map "skin pixels uncertain", or having a lower degree of confidence, a block of pixels to be corrected in a separate process. 现在，可以通过应用诸如形态学操作的空间过滤来清理皮肤图。  Now, the space can be applied such as by morphological operations of the skin to clean the filter of FIG. 此刻，皮肤图可以具有两个置信度水平:PCA皮肤(高置信度)和不确定的皮肤(低置信度）。 At the moment, two skin map may have confidence level: PCA skin (high confidence) and uncertain skin (low confidence). 置信度水平的数量可以通过将皮肤区内皮肤像素的空间定位纳入考虑来进一步增加。 Number confidence level can be achieved by the spatial positioning of the skin area of ​​skin pixels into account to further increase. 在一个实现中，一个像素离图的内部越近，其置信度被设置得越高。 In one implementation, the closer a pixel map inside, which is set higher degree of confidence. 在另一实现中，通过使用PCA轴上像素系数的多个阈值设定，皮肤置信度水平的数量可以从PCA阈值设定阶段增加。 In another implementation, a plurality of threshold value is set by using the pixel coefficients PCA axis, the number of skin may increase the level of confidence threshold setting from the PCA phase. 修正来自脸部内部的皮肤像素(或者，在不存在脸部时，来自通过皮肤过滤的区域的像素）。  The pixel correcting skin from the inside face (or, when the face is not present, the pixel from the region of the filter through the skin). 以下描述用于执行此修正的示例性过程。 The following description of an exemplary process for performing this correction. 可以针对每个像素计算权重Cte [0，1]，其描述像素将接收到的修正程度。  can be re-calculated for each of the right pixel Cte [0,1], which describes a pixel to the received correction level. α的值越大，将向该像素应用的修正越多。 The higher the value of α, the more will the application of the correction pixel. 权重可以基于局部标准偏差，该标准偏差是在正方形邻居(例如，针对较大皮肤面积为16 X 16，或者针对中型皮肤面积为8 X 8)上的XGA强度图像上计算而来的，但是也可以考虑其他因素(例如，皮肤置信度水平、像素与脸部特征(诸如眼部和口部等)的接近)。 The weights may be based on the local standard deviation, the standard deviation of the intensity of the image on a square XGA neighbors (e.g., for a large area of ​​skin 16 X 16, or for a medium-sized skin area of ​​8 X 8) is computed from, but other factors may be considered (e.g., a confidence level of the skin, and the facial feature pixel (such as eyes and mouth and the like) is close). 其中0JSJK是在整个皮肤面积上计算的标准偏差，而是局部标准偏差。 Wherein 0JSJK is the standard deviation calculated over the entire area of ​​the skin, but the local standard deviation. 继而，α的极限是1。 Then, α is a limit. 针对具有较高皮肤置信度的像素，α可以增大预定因子(例如，1.1-1.25)。  can be increased by a predetermined factor for skin having a high degree of confidence pixels, [alpha] (e.g., 1.1-1.25). 针对定位在脸部特征(诸如，眼部和口部(参见图1))附近的像素，α可以减小以预定的因子。  positioned for facial features (such as eyes and mouth (see FIG. 1)) nearby pixels, [alpha] may be decreased to a predetermined factor. （对于眼部和口部检测，参见“眼部和口部修饰”一节）。 (For the eye and mouth detection, see "eyes and mouth modification" section). 可以特别关注皮肤边界附近的像素。  may be of particular interest pixels near the skin boundary. 在此示例中，对于这些像素，较高，因为在计算邻居中存在较强的边。 In this example, these pixels high, because there is a strong edge in the neighborhood is calculated. 在这些情况中，搜寻边的方向（仅考虑四个主方向），并且基于该方向，当前窗口的最均匀子窗口用于重新计算α和局部平均。 In these cases, the search direction side (considering only the four main directions), and based on the orientation, the most uniform sub-window is used to recalculate the current window and the local average α.
 α还可以基于当前像素的强度和局部平均（在相同邻居上计算作为0;¾¾)之间的关系来进行修改。  α may also be based on the current pixel and the local average intensity (calculated on the same neighbor as 0; ¾¾) to modify the relationship between. 这是因为尝试通过脸部修饰来消除的脸部赝像(例如，雀斑、水疱、皱纹)可能通常比皮肤黑，但不是非常黑。 This is because the attempt to eliminate the face modification face artifacts (eg, freckles, blisters, wrinkles) may often than the dark, but not very dark. 在一个实施方式中，可以执行以下修改:如果当前强度大于局部平均，则减小α (高强度，由此，极度减小修正）。  In one embodiment, the following modifications can be performed: if the current strength is greater than the local average, decrease [alpha] (high strength, thereby reducing extreme correction). 如果当前强度比局部平均低很多，则减小α (太黑以至于不是皮肤赝像，极度减小修正）。 If the current intensity is much lower than the local average, decrease [alpha] (not the skin that is too dark artifact, extreme decrease correction). 如果当前强度低于局部平均，但是二者之间的差别较小，则增大α (非常可能是脸部赝像，因此增大修正）。 If the current intensity is lower than the local average, but the difference between them is small, the increase in [alpha] (most likely be a face artifact, therefore increase correction). 如果当前强度低于局部平均，并且二者之间的差别较大，则稍微减小α (较不可能是脸部赝像，因此稍微减小修正）。 If the current intensity is lower than the local average, and the difference between them is large, the [alpha] decreases slightly (less likely to be a face artifact, therefore slightly reduced correction). 可以在用于加权图（XGA图像）的相同强度图像上计算平均。  The average may be calculated on a weighted graph for the same intensity image (XGA image). 这会在不影响质量的情况下改进速度。 This will improve the speed, without compromising quality. 图2Α-图2C示出了与检测的特征一起工作的示例。  FIG 2Α- FIG. 2C illustrates an example of working with the detected characteristics. 在图2Α中，利用颜色示出了输入和预定数据，其中颜色包括用于脸部矩形的青色(有点儿蓝的色度）、用于脸部特征(诸如， 眼部和口部或嘴唇)的绿色，以及用于脸部区内皮肤的红色。 In FIG. 2 [alpha, indicated with a color and a predetermined input data, wherein the colors include cyan (bit blue chrominance) for the face rectangle for facial features (such as eyes and mouth and lips) green, and red for the face area of ​​the skin. 图2Β示出了初始图像，而图2C示出了使用自动脸部修饰的输出结果。  FIG 2Β shows an original image, and FIG. 2C shows the output result of using a modified automatic face. 除了移除皮肤赝像(皱纹、水疱等），也可以朝着脸部整体视觉方面更佳来应用眼部和口部修饰。  In addition to removing artifacts skin (wrinkles, blisters, etc. ), it may also be better towards the overall visual aspect of the face to apply modifications eyes and mouth. 可以针对眼部和口部修饰采取以下动作。 It can be modified for the eyes and mouth to take the following actions. 可以将眼部和口部的初始位置(粗略地)确定为位于PCA皮肤图中的脸部矩形或其他形状的左上方、右上方和下半部分中的最大的洞。  The initial position may be (roughly) the eyes and mouth is determined to be the largest hole located in the upper left, upper right and lower half of the face rectangle or other shape PCA skin map in. 可以基于颜色信息来检测口部区。  mouth portion region can be detected based on color information. 在使用YUV颜色空间时，其可以定义为V分量高于阈值(基于局部V直方图计算的）的区域。 When using the YUV color space, which may be defined as the region V component above a threshold (V based on local histogram calculation) is. 牙齿的存在可以通过检查口部区周围的最小矩形内的饱和度S的直方图来检测。  The presence of the teeth can be detected by the histogram saturation S in the smallest rectangle surrounding the mouth portion of the inspection area. 如果在YUV颜色空间中工作，则饱和度可以计算为S = abs (U)+abs (V)。 If operating in the YUV color space, the saturation may be calculated as S = abs (U) + abs (V). 如果饱和度的直方图是单峰的，则牙齿可能不可见。 If the saturation histogram is unimodal, the teeth may not be visible. 如果饱和度的直方图是双峰的，则可以检查与直方图的劣等模式对应的区域。 If the saturation histogram is bimodal, the inspection area may be inferior pattern corresponding histogram. 如果发现该区域位于口部区内部(更精确地，如果存在三明治式“口部-牙齿-口部”），则可以确定牙齿可见。 If it is found in the region located inside the mouth region (more precisely, if the sandwich "mouth - dental - mouth" is present), it may be determined visible teeth. 可以检测一个或两个眼部区，每一个作为归一化Y · S分量低于阈值(基于局部Y · S直方图计算的）的连接区。  eye ​​can detect one or two zones, each as a normalized Y · S components below a threshold value (Y · S based on local histogram calculation) is connected regions. 在以上表达式中，Y是来自YUV颜色空间的归一化强度分量，而S 是按照上述进行计算的归一化饱和度。 In the above expression, Y is the normalized intensity component from the YUV color space, and S is calculated in accordance with the above-described normalized saturation. Y和S的归一化可以针对局部最大值进行。 S and Y may be normalized for the local maximum. 虹膜可以检测为眼部中央的较暗部分，而巩膜（眼白）可以检测为眼部的剩余部分。  The iris can be detected as a darker central portion of the eye, the sclera (white of the eye) can be detected as a remaining portion of the eye. 可以增加口部的红色。  The red mouth portion can be increased. 在YUV颜色空间中，这可以通过将口部区内部的V值乘以预定因子(例如，1.2)来进行。 In the YUV color space, the value V which can be inside the mouth region by a predetermined factor (e.g., 1.2) is performed. 牙齿可以通过稍微增大Y分量同时减小U分量和V分量的绝对值来进行增白。  The tooth whitening can be performed by slightly increasing the Y component while reducing the absolute value of U and V components. 眼白可以通过稍微增加Y分量同时减小眼白区内部的U分量和V分量的绝对值来明亮化。  whites can simultaneously decrease the absolute value of the white of the eye interior region of the U and V components by slightly increasing the Y component be clarifying. 虹膜可以通过加强虹膜区内的强度对比来进行改进。  the iris can be improved by strengthening the intensity contrast of the iris region. 而且，如果存在红眼现象(这导致位于虹膜内的瞳孔区的V值增加），则可以应用红眼修正算法，其可以是golden eye (黄金眼）算法（参见美国专利6，407,777、7,042,505、7,474,341、7,436,998、7,352,394、7， 336,821和7,536,036)。 Moreover, if there is the red-eye phenomenon (which results in an increase the value of V pupil area located within the iris), you can apply red-eye correction algorithm, which may be a golden eye (Golden Eye) algorithm (see US Patent 6,407,777,7,042,505,7,474,341,7,436,998 , 7,352,394,7, 336,821 and 7,536,036). 根据若干实施方式，可以通过实施脸部、皮肤和/或脸部特征增强来改进肖像图像的质量。  According to several embodiments may be implemented by the face, skin and / or enhance the facial feature to improve the quality of the portrait image. 当在数码相机上，尤其是在配备有相机的手持式设备上提供某些实施方式时，能够带来巨大优势。  When in digital cameras, especially in certain embodiments provide a camera-equipped handheld devices, it can bring enormous advantages. 利用来自脸部检测器或者甚至脸部追踪器(数据来自多个图像帧）的特定数据，该方法可以有利地执行。 Using specific data from the face detector or even a face tracker (data from a plurality of image frames), the method can be advantageously performed. 在一个实施方式中，可以动态地从脸部追踪器模块获得增强的脸部图像。 In one embodiment, the dynamically enhanced facial image obtained from the face tracking module. 使用PCA来确定主皮肤颜色，以及使用两个其他颜色空间维度来确定距该颜色的变化，可以是有利的。 Use PCA to determine the main skin color, as well as two other spatial dimensions to determine the color from the color change can be beneficial. 该方法可以包括将颜色空间解相关为“主要皮肤”和“次要皮肤”。 The method may comprise decorrelated color space is the "primary skin" and "secondary skin." 使用“次要皮肤”维度来确定“好皮肤”对于皮肤检测也是有利的。 Use "minor skin" dimension to determine the "good skin" is also beneficial for the skin detection. 较小的图像可以用于检测， 而局部化的平滑核可以应用于完整图像，从而节省了宝贵的处理资源，给手持式设备带来了巨大优势。 Smaller image can be used to detect, and localized smoothing kernel can be applied to the full image, thus saving valuable processing resources, to the hand-held device brings a huge advantage. 可以使用两个皮肤图，包括与“包含性的”图结合的“排除性的”图，并且还可以利用脸部检测数据。 FIG two skin may be used, including the "inclusive" FIG combination of "exclusive" view, and face detection data may also be utilized. 多种“皮肤分析”和色调/颜色/对比以及其他图像调整技术可以与此处描述的实施方式相结合，例如，如在美国公开的申请No. 2006/0204110中描述的。 More "skin analysis" and hue / color / contrast and embodiments other image adjustment techniques described herein may be combined, e.g., as described in U.S. Application Publication No. 2006/0204110 in the. 有利地，皮肤和脸部特征检测(眼部、口部)用在脸部图像增强中，其可以包括平滑、模糊、纹理修改、噪声减小/增强，或用于减小脸部的瑕疵或有缺陷区域的视觉效果的其他技术。 Advantageously, skin and facial feature detection (eyes, mouth) for use in the face image enhancement, which may include smoothing, blurring, texture modification, noise reduction / enhancement, or for reducing facial blemishes or there are other technical defects visuals region. 可以在某些实施方式中实现皱纹修正。 Wrinkle correction may be implemented in some embodiments. 另外，可以有利地利用基于PCA的“强”皮肤检测，其支持仅检测与脸部的肤色类似的那些肤色，并且可以用于丢弃其颜色与肤色不同的其他类肤色面片（例如，后面的墙、浅色的头发等）。  Further, use may advantageously be a "strong" based on PCA skin detection, which supports only detect those similar to the face skin color, and may be used to discard other types of color patches of different colors and color (e.g. , behind walls, light-colored hair, etc.). 在此描述的实施方式利用选择性平滑的应用，其并非应用至脸部的所有皮肤像素，而仅仅是应用于可能是或者包括赝像(例如，皱纹、水疱、雀斑等）的那些皮肤像素。 Those  In the embodiment described herein using a selective smoothing applications, it is not applied to all the pixels of the skin of the face, but merely applied may be or include artifacts (e.g., wrinkles, blisters, freckles, etc.) skin pixels. 这与全局方案非常不同，在全局方案中，会平滑所有脸部皮肤像素或者整个脸部，并且锐化脸部的非皮肤像素(例如，口部、眼部、眉毛）。 This is very different from the overall program, in the global scenario, facial skin will be smooth all the pixels or the entire face, and the sharpening face of the non-skin pixels (e.g., mouth, eyes, eyebrows). 这些实施方式用于保留固有的皮肤纹理，而移除不想要的赝像。 These embodiments for retaining the inherent texture of the skin, while removing unwanted artifacts. 例如，能够看出人的年龄，由此保持自然，同时又改进了脸部的外观。 For example, it is possible to see the person's age, thereby preserving nature, but also improves the appearance of the face. 尽管已经描述和说明了本发明的示例性附图和特定实施方式，但是应当理解，本发明的范围并不限于讨论的特定实施方式。  While there has been described and illustrated exemplary drawings and specific embodiments of the present invention embodiment, it is to be understood that the scope of the present invention is not limited to the particular embodiments discussed. 由此，实施方式应当被视为说明性的而非限制性的，并且应当理解，在不脱离本发明范围的前提下，本领域技术人员能够对这些实施方式做出变化。 Thus, embodiments should be regarded as illustrative rather than restrictive, and it should be understood that, without departing from the scope of the invention, those skilled in the art can make variations to these embodiments. 另外，在根据此处优选实施方式执行的以及上面已进行描述的方法中，按照选择的印刷顺序描述了操作。  Further, in performing the method according to the preferred embodiment herein have been described above and in accordance with the selected printing order operation is described. 然而，顺序是为了印刷方便而选择并进行如此排序的，而不是意在隐含执行操作的任何特定顺序，除了明确给出的特定顺序或者本领域技术人员认为特定顺序是必须的情况以外。 However, the print order is selected for convenience and the thus-sorted, and are not intended in any particular order of performing the operations implied, in addition to the specific order or given explicitly skilled in the art that the specific order is other than the case where necessary. 1. 一种增强数字图像内的脸部外观的方法，包括使用处理器来： 获取包括脸部的场景的数字图像，其包括使用镜头和图像感测器来捕获所述图像，或者在由包括镜头和图像感测器的设备捕获所述图像之后接收所述图像，或者其组合； 标识所述数字图像内的所述脸部； 将所述脸部的肤色部分与包括一只或两只眼睛或口部或其组合的脸部特征相分割，所述脸部的肤色部分包括以下的一个或多个:前额、一个或两个脸颊、一个或两个后颊区域，一侧或两侧鼻翼、下颚或其组合； 其中所述肤色部分包括所述脸部的一个或多个子区域； 确定所述一个或多个子区域中不包括阈值肤色的某些非肤色像素，以及移除、替换所述某些非肤色像素，或者减小其强度，或者修改其颜色，或者这些的组合； 对每个像素的强度应用修正，其中增强的强度= CtX局部平均强度+(1- 1. A method for the appearance of a face within a digital image enhancement, comprising using a processor to: obtain a digital image of a scene including a face, which comprises using a lens and an image sensor to capture the image, or by comprising the image receiving apparatus after the image capturing lens and the image sensor, or a combination thereof; identification of the face within the digital image; skin color of the face portion including one or both eyes or mouth, or a combination of the phase split facial features, skin color of the face portion comprises one or more of the following: the forehead, cheeks one or two, after one or two cheek regions, one or both sides of the nose jaw or a combination thereof; wherein the skin color of the face portion comprises one or more sub-regions; determining the one or more sub-threshold region does not include certain non-skin color pixels, and removing, replacing the certain non-skin tone pixels, or to reduce its strength, or modifying its color, or a combination of these; correction applied for each pixel intensity, wherein increased strength = CtX local average intensity + (1- α) X原始强度，并且α表示针对每个像素所确定的权重，所述权重描述每个像素将接收到的修正程度； 在所述脸部的所述肤色部分中，标识一个或多个瑕疵区域，其在亮度上与非瑕疵肤色部分之间的差异至少是一阈值量； 平滑所述一个或多个瑕疵区域的亮度数据，以生成经过平滑的亮度数据； 生成包括所述脸部的增强版本的增强图像，在所述脸部的增强版本中，所述一个或多个瑕疵区域的原始亮度数据由所述经过平滑的亮度数据所替换，并与原始非瑕疵肤色部分相结合； 其中利用所述经过平滑的亮度数据来替换所述一个或多个瑕疵区域的所述原始亮度数据产生一个或多个增强子区域;以及显示、传输、传送或数字式存储或以其他方式输出所述增强的图像或进一步处理的版本，或者其组合。 α) X green strength, and [alpha] denotes a weight for each pixel of the determined weight, the weight of each pixel is described correction level received; portion of the skin of the face, identifying one or more defective region, in which the difference in brightness between the non-defective portion of the skin is at least a threshold amount; smoothing said luminance data or a plurality of defect areas, to generate luminance data after smoothing; generating a reinforcement of the face version of the enhanced image, in an enhanced version of the face in the original luminance data or a plurality of defect areas for luminance data are replaced by the smoothed and combined with the original non-defective portion of skin; wherein use after smoothing the luminance data to replace one or more defective regions of the original luminance data to produce one or more enhanced sub-regions; and displaying, transmitting, storing or transmitting digital or otherwise enhance the output version of the image or for further processing, or combinations thereof. 2. 如权利要求1所述的方法，其中局部化的亮度平滑包括模糊亮度数据或针对其取平均，或者其组合。 2. The method according to claim 1, wherein the localized luminance smoothing comprises blurred or their averaging luminance data, or a combination thereof for. 3. 如权利要求1所述的方法，进一步包括：向所述一个或多个子区域应用一个或多个局部化的颜色平滑核，以及其中已增强图像的一个或多个增强子区域进一步包括至少通过局部化的颜色平滑而从所述脸部的原始像素修改而来的像素。 3. The method according to claim 1, further comprising: applying one or more localized color smoothing kernels to the one or more sub-region, and wherein the one or more images have been enhanced in the enhancer region further comprises at least modified from the original pixel from the pixel of the face by localized color smoothing. 4. 如权利要求1所述的方法，进一步包括：向所述一个或多个子区域应用噪声减小或增强或者二者，并且其中已修正图像的一个或多个增强子区域进一步包括至少通过局部化的噪声减小或增强或者二者而从所述脸部的原始像素修改而来的像素。 4. The method according to claim 1, further comprising: reduction or enhancement, or both to the one or more sub-application noise, and wherein the one or more corrected image enhancer region further comprises at least partially by of noise reduction or enhancement, or both from original pixels of the face from the modified pixel. 5. 如权利要求1所述的方法，其中所述一个或多个增强子区域的增强像素包括增强的强度，其包括原始像素强度与所述一个或多个原始的或增强的子区域中局部平均强度之间关系的一个或多个函数，或其组合。 5. The method according to claim 1, wherein the one or more enhanced sub-pixel region comprises reinforcing increased strength, which includes an original pixel intensity of said one or more original or enhanced sub-regions of local one or more functional relationship between the average intensity, or a combination thereof. 6. 如权利要求1所述的方法，进一步包括:检测所述脸部内的一个或多个口部或眼部区域或者其组合，以及标识和增强所述一个或多个口部或眼部区域内一个或多个子区域的自然颜色，所述一个或多个子区域包括一个或多个牙齿、嘴唇、舌头、眼白、眉毛、虹膜、睫毛或瞳孔，或其组合。 6. The method according to claim 1, further comprising: one or more mouth or eye regions, or combinations thereof in the detection of the face, and identifying and enhancing the one or more mouth or eye natural color of the area of ​​one or more sub regions, the one or more sub-regions comprises one or more teeth, lips, tongue, whites, eyebrows, iris, pupil or mascara, or a combination thereof. 7. —种增强数字图像内的脸部外观的方法，包括使用处理器来： 在相机内生成、捕获或以其他方式在相机内获得包括脸部的一个或多个相对低分辨率图像的集合； 在所述一个或多个相对低分辨率图像中标识所述脸部； 将所述脸部的肤色部分与包括一只或两只眼睛或口部或其组合的脸部特征相分割，所述脸部的肤色部分包括以下的一个或多个:前额、一个或两个脸颊、一个或两个后颊区域，一侧或两侧鼻翼、下颚或其组合； 对每个像素的强度应用修正，其中增强的强度=αΧ局部平均强度+(1-α) X原始强度，并且α表示针对每个像素所确定的权重，所述权重描述每个像素将接收到的修正程度； 在所述脸部的所述肤色部分中，标识一个或多个瑕疵区域，其在亮度上与所述肤色部分之间的差异至少是一阈值量； 获取包括所述脸部的、具有比所述一个或多个 7. - The method of species enhanced appearance face within a digital image, comprising using a processor to: generate in the camera, captured or otherwise obtained set includes one or more relatively low resolution of the face image within the camera ; one or more of the relatively low resolution of the image of the face identification; portion of the skin of the face and facial features including one or both eyes or mouth or a combination of the phase split, the said portion of the face skin color include one or more of: forehead, cheeks one or two, after one or two cheek regions, one or both sides of the nose, jaw, or combinations thereof; intensity for each pixel using the modified , where enhanced strength = mean local intensity αΧ + (1-α) X green strength, and [alpha] denotes a weight for each pixel of the determined weight, the weight of each pixel is described correction level received; in the face the portion of the skin color portion, identifying one or more defective areas, the difference between the skin portion and the luminance at least a threshold amount; comprises obtaining of the face, the one or more than more 对低分辨率图像更高分辨率的主图像，包括使用镜头和图像感测器来捕获所述主图像，或者在由包括镜头和图像感测器的设备捕获所述主图像之后接收所述主图像，或者其组合； 平滑所述主图像中与在所述相对低分辨率图像中标识的相同的一个或多个瑕疵区域对应的一个或多个子区域的亮度数据，以生成针对所述主图像的所述一个或多个子区域的经过平滑的亮度数据； 生成包括所述脸部的增强版本的所述主图像的增强版本，在所述脸部的增强版本中，与所述一个或多个瑕疵区域对应的所述一个或多个子区域的所述亮度数据由所述经过平滑的亮度数据所替换； 其中利用所述经过平滑的亮度数据来替换所述一个或多个子区域的所述亮度数据产生一个或多个增强子区域;以及显示、传输、传送或数字式存储或以其他方式输出所述增强的图像或进一步处 Low-resolution image of higher resolution primary image, comprising the use of a lens and an image sensor for capturing the main image, or received after the master image capturing apparatus includes a lens and an image sensor of the main image, or a combination thereof; smoothing the luminance data of the main image with relatively low resolution of the same image or identifying a region corresponding to a defect or a plurality of subregions, for the main image to generate after the luminance of the one or more data smoothing the subregions; comprising generating an enhanced version of the enhanced version of the main image of the face, in the enhanced version of the face, the one or more the defect corresponding to a region or sub-regions of the luminance data of the luminance data after being replaced by the smoothed; wherein the step of utilizing said smoothed luminance data to replace the one or more sub-regions of said luminance data generates one or more enhanced sub-regions; and displaying, transmitting, storing or transmitting digital or otherwise output the enhanced image or further the 的版本，或者其组合。 Version, or a combination thereof. 8. 如权利要求7所述的方法，进一步包括:在所述相对低分辨率图像的集合中追踪所述脸部。 8. The method according to claim 7, further comprising: a set of relatively low resolution of the face image tracking. 9. 如权利要求7所述的方法，其中所述平滑包括向所述一个或多个子区域中的一个应用一个或多个局部化的亮度平滑核中的每一个，其中所述应用包括向所述一个或多个子区域的亮度数据应用所述一个或多个局部化的亮度平滑核。 9. The method according to claim 7, wherein said smoothing comprises each of the one application to the one or more sub-regions of one or more localized luminance smoothing kernels, wherein said application comprises To the the luminance data of said one or more sub regions applying the one or more localized luminance smoothing kernels. 10. —种增强数字图像内的脸部外观的方法，包括使用处理器来： 获取包括脸部的场景的数字图像，其包括使用镜头和图像感测器来捕获所述图像，或者在由包括镜头和图像感测器的设备捕获所述图像之后接收所述图像，或者其组合； 标识所述数字图像内的所述脸部； 标识所述脸部的肤色部分中要利用局部化的亮度平滑进行增强的一个或多个子区域，所述脸部的肤色部分包括以下的一个或多个:前额、一个或两个脸颊、一个或两个后颊区域，一侧或两侧鼻翼、下颚或其组合； 确定所述一个或多个子区域中不包括阈值肤色的某些非肤色像素，以及移除、替换所述某些非肤色像素，或者减小其强度，或者修改其颜色，或者这些的组合； 对每个像素的强度应用修正，其中增强的强度=αΧ局部平均强度+(1-α) X原始强度，并且α表示针对每个像素所确定的权 10. - The method of species enhanced appearance face within a digital image, comprising using a processor to: obtain a digital image of a scene including a face, which comprises using a lens and an image sensor to capture the image, or by comprising lens and an image sensor of the image capturing apparatus after receiving the image, or a combination thereof; the identification within the digital image of the face; skin portion of the face to be identified using the localized luminance smoothing augmenting one or more sub regions, skin color of the face portion comprises one or more of the following: the forehead, cheeks one or two, after one or two cheek regions, one or both sides of the nose, jaw, or combinations thereof; determining that the one or more sub-threshold region does not include certain non-skin color pixels, and removing, replacing said certain non-skin tone pixels, or to reduce its strength, or modifying its color, or a combination of these ; correction applied for each pixel intensity, wherein increased strength = mean local intensity αΧ + (1-α) X green strength, and [alpha] represents the determined weights for each pixel, ，所述权重描述每个像素将接收到的修正程度； 向在所述脸部的肤色部分中标识的所述一个或多个子区域中的一个应用一个或多个局部化的亮度平滑核中的每一个以产生所述脸部的一个或多个增强子区域，其中所述应用包括向在所述脸部内标识的所述一个或多个子区域的亮度数据应用所述一个或多个局部化的亮度平滑核； 生成包括所述脸部的增强版本的增强图像，其中所述脸部的增强版本包括某些原始像素或以其他方式处理的像素以及对应于所述脸部的所述一个或多个增强子区域的像素；以及显示、传输、传送或数字式存储或以其他方式输出所述增强的图像或进一步处理的版本，或者其组合。 , The weight of each pixel of the received description of the degree of correction; to one of the one or more sub-regions identified in the face portion of the skin in one or more localized luminance smoothing kernels of to generate each of the one or more of the face enhancer region, wherein said application comprises luminance data to the one or more sub-regions identified within said face of application of the one or more localized luminance smoothing kernels; comprising generating an enhanced version of the enhanced image of the face, wherein the enhanced version of the face include certain original pixel or otherwise processed, and the face corresponding to the one or a plurality of pixel sub-reinforcing area; and displaying, transmitting, storing or transmitting digital or otherwise output the enhanced or further processed version of the image, or combinations thereof.